Reap the greatest benefit from your solar and battery system and maximise the return on your PV + storage investment with Geli! During the day, solar power generation typically reduces a building’s peak load. When solar generation tapers in the shoulder hours, energy storage enables customers to use stored solar energy to further reduce their peak loads. Rising demand-based charges (measured in kilowatts) are causing the business case for solar-only projects, without a battery, to deteriorate. Pairing solar energy and behind-the-meter energy storage (aka a battery, such as a Tesla Powerwall or sonnenBatterie) can more than double customer savings and significantly boost project returns. Learns your electricity consumption patterns and delivers stored solar energy when power from the mains grid is most expensive. Enables you to monitor your home energy consumption from anywhere there’s an internet connection. In the future, you’ll be able to take control over connected devices, such as electric vehicle (EV) chargers. enables you to deliver grid services where/when these programs are made available – earn extra income! Supply your home with power during a blackout event. All these benefits are provided via a small device; the Geli Jar. This is a small controller accompanying each Energy Matters solar and storage system installed under the ACT Next Generation Storage program. The makers of the Jar are currently developing the necessary software infrastructure to work with the emerging Internet of Energy (IoE), an intelligent network of distributed assets. With a Geli Jar already installed, you’ll be among the first to take advantage of the new energy revolution that is coming with battery energy storage. A San Francisco, California based company with offices in Melbourne, Australia, and New York, Geli solutions have been deployed around the world. The company has won a number of awards for its work with leading firms, including the Rocky Mountain Institute and BMW. The company was named in the prestigious 2015 Global Cleantech 100; recognising its efforts in developing and providing end-to-end software solutions for the entire lifecycle of advanced energy projects incorporating energy storage. 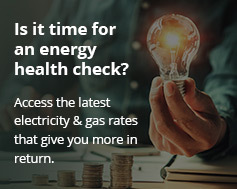 Participants in the ACT Next Generation Storage initiative wanting further information about Geli’s energy management solution can contact Energy Matters on 133 SUN, or use our contact form.